Earlier this June we teamed up with our very talented and good friend Calee Adams with Kura Photography to put together this beautiful styled grad session! It was so nice to be able to shoot for ourselves and take our time and really enjoy doing what ever we wanted really!! Hayley was the perfect model, this girl was up for anything and such a sweetheart to top it off! We couldn’t have picked a better model for this specific vision!! Finding the perfect graduate for our vision wasn’t easy with all the submissions we had but Miss Hayley Heffner stood out to us from the beginning of our search. Outstanding Hair and Makeup services were provided by Pelkey Hair Studio and Megan Ashley Makeup and Beauty. 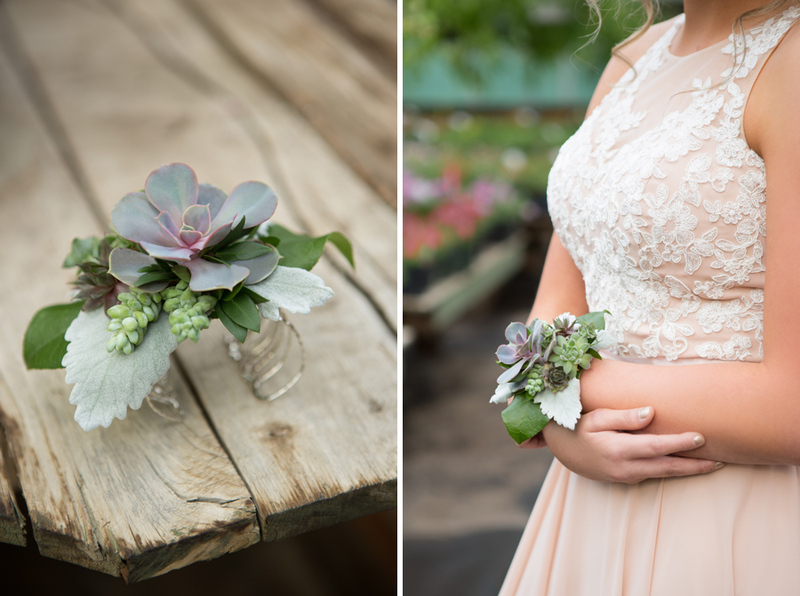 Our beautiful one of a kind (AND LONG LASTING MAY I ADD) succulent corsage was provided by Abby Road Flowers and Gifts and our vision truly came to life being able to shoot some images indoors at Green Jay Greenhouses! We LOVE collaborating with local business’ and highly recommend the quality of services the ladies mentioned above offer! We wouldn’t have been able to pull off such a stunning shoot without them!! So thank you ladies!! !